Moisturizing your skin may help prevent diseases associated with aging, such as diabetes and Alzheimer’s. This is according to a new study by scientists at the University of California San Francisco and the San Francisco Veterans Administration (VA) Health Care System. A media release explains that as humans get older, we experience an increase in molecules in the blood called cytokines. This causes a low-level inflammation called “inflamm-aging,” which is associated with chronic, age-related diseases, including diabetes, cardiovascular disease, and Alzheimer’s. The inflammation was thought by scientists to stem from the immune system or the liver, but this new research suggests that it comes from the skin. Human skin starts to deteriorate around age 50, and the permeability barrier – which keeps water in, and bacteria and harmful pathogens out – starts to break down. This causes the skin to release inflammatory cytokines, which help repair the damage. But older skin is more difficult to repair, so the skin releases more and more cytokines until they eventually reach the blood. 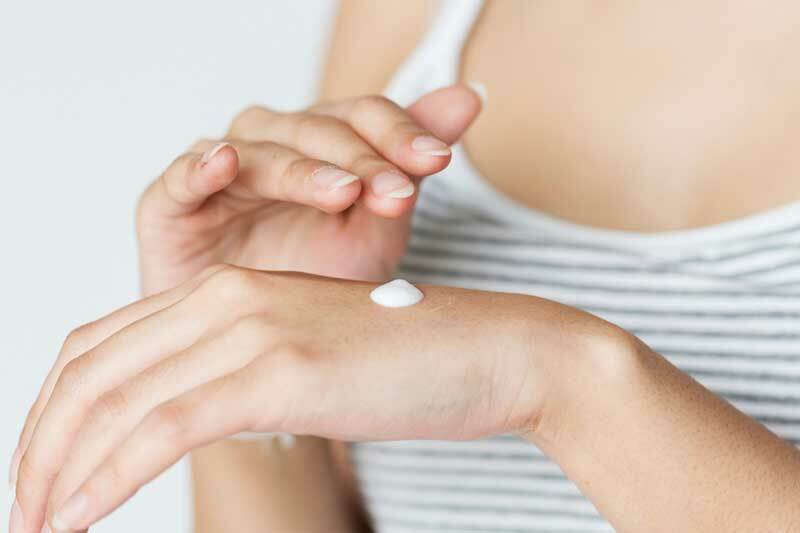 In the pilot study, Mauro, Man, and colleagues attempted to reverse age-related skin damage in 33 adults aged 58 – 95 using an over-the-counter skin cream that had previously been shown to contribute to skin repair. Participants applied the cream all over their bodies twice a day for 30 days, at the end of which the researchers measured blood levels of three cytokines – interleukin-1 beta, interleukin-6, and tumor necrosis factor (TNF) alpha. All of these have been implicated in age-related inflammatory diseases. Using the cream was associated with a reduction in the amount of all three cytokines. In fact, using the cream lowered participants’ cytokine levels to nearly those found in people in their 30s. The cream also reportedly improved skin hydration, lowered pH, and repaired the permeability barrier. The scientists now plan to conduct a longer, larger study to see whether lowering cytokine levels can delay or prevent age-related inflammatory diseases. The study was published in the Journal of the European Academy of Dermatology and Venereology.